With nearly three decades of experience, Solomon Page understands the ethos of beauty and provides the industry with insider access to talent, partnerships, and insights. Solomon Page customizes our services to best support your organization's current stage of growth. Whether you are raising capital, pivoting from Direct-to-Consumer into retail, or building out your organizational talent strategy and infrastructure, Solomon Page has the resources and capabilities to be an added value partner to your business. Solomon Page strives to develop valuable and strong networks by collaborating as a trusted business partner and advisor. Our well-established relationships across the financial, private equity, contract manufacturing, and commercial retail areas allow us to further support clients by providing recommendations and referrals at every stage of your organization's growth. Our recruiters source, screen, and manage high potential talent throughout the full life cycle of the recruitment process. 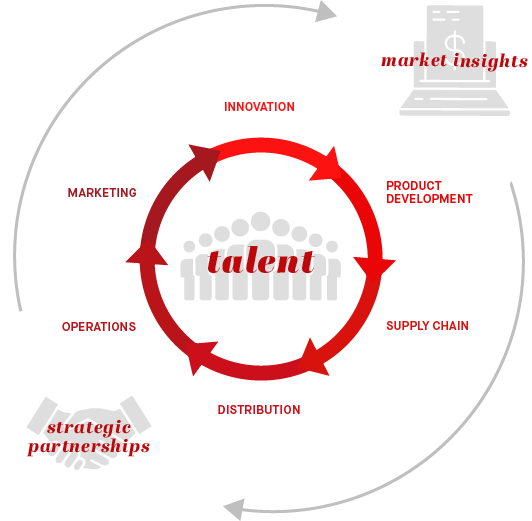 Their skill sets are in demand and generate productive change within an organization.